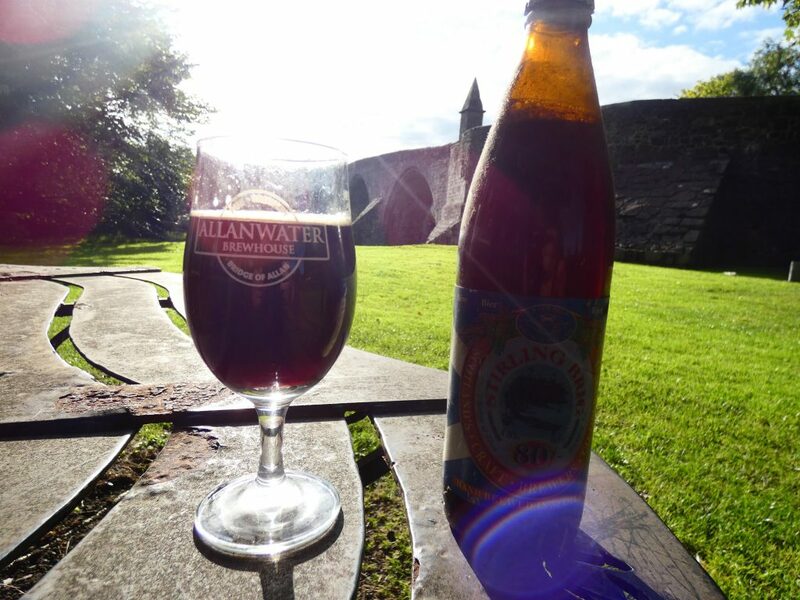 THE ALLANWATER BREWHOUSE is proud of its location in the heart of historic Stirlingshire and this week, as a famous football manager once said, we are indeed ‘wery, wery pwoud’ to commemorate the anniversary of one of the most iconic events in Scottish history which also coincided with an important date in the Brewhouse’s existence! 721 years back on September 11, 1297, just over a mile away, as a drunken crow may fly, from our humble premises, the forces of the great Scottish freedom fighters William Wallace and Andrew de Moray routed the English army led by John de Warenne 6th Earl of Surrey in one of the most pivotal moments in the Wars of Independence. 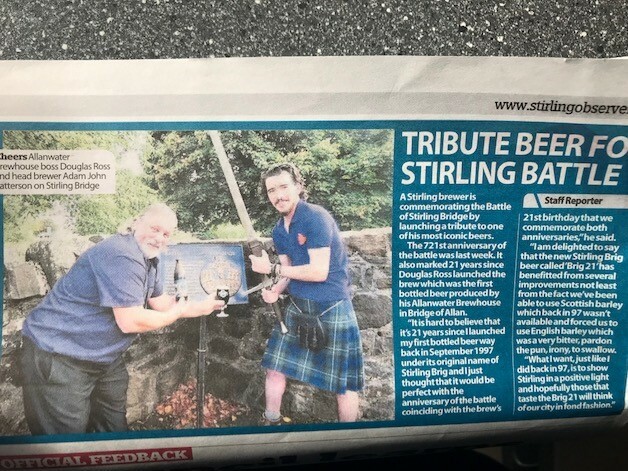 “It’s hard to believe that it’s 21 years since we launched my bottled beer for the first time way back in 1997 under its original name of Stirling Brig and I just thought that it would be perfect with the anniversary of the battle coinciding with the brew’s 21st birthday that we would rename it BRIG 21 to commemorate both anniversaries, ” revealed Douglas. 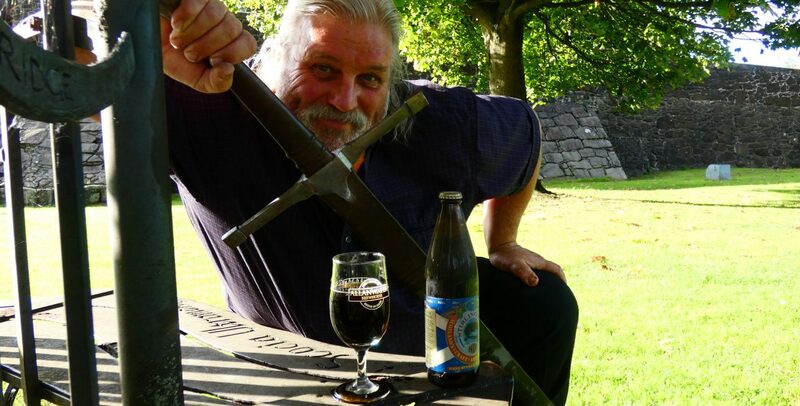 He continued: “But I am delighted to say that the new BRIG 21 beer has benefited from several improvements, not least from the fact we’ve been able to use 100% Scottish barley which back in 1997 wasn’t available due to a shortage and forced us to use English barley which was a very bitter, pardon the pun, irony, to swallow!” quipped the ebullient Brewhouse boss. Now naturally this fantastic news has meant that this week’s Brew Blog, positioned elsewhere on our website, will indeed feature ‘BRIG 21‘ and we’re sure fans of the permanently parched ‘AJ’ Patterson will indeed have their whistles “wetted”. Here is a brief tasting note for your delectation: BRIG 21 (pictured below) is a classic deep ruby red, appropriately almost bloody, ale with a thick creamy head brewed in the typical 80/- style with its huge malty taste and lightly hopped aroma with a hugely satisfying aftertaste. 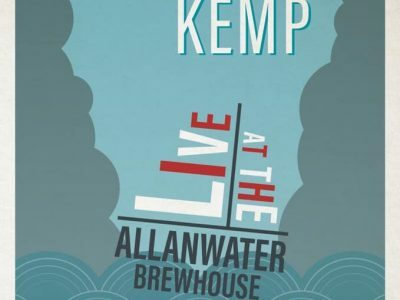 And guess what ——it’s exclusively available only at the ALLANWATER BREWHOUSE bar and only while our limited stocks last . 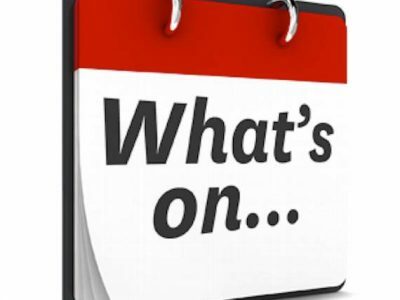 Now as if that wasn’t enough a very busy weekend is now looming large! 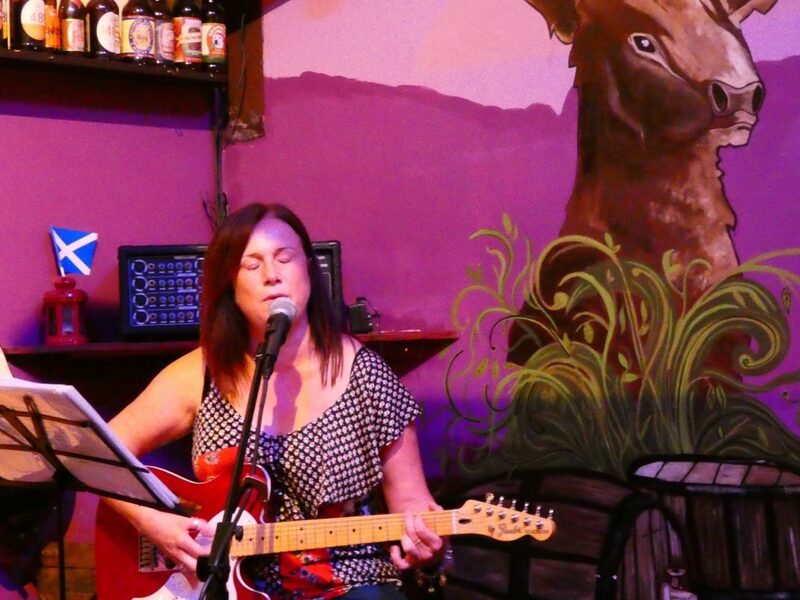 On Saturday night Falkirk’s favourite songbird Fiona McTaggart (pictured below) will take to the Brewhouse stage in our primetime Saturday night slot just before 9pm and we can guarantee you a performance that will tug your very heart strings from one of The Brewhouse ‘star performers’! 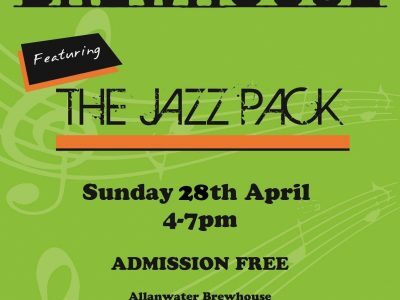 Fast forward 24 hours and our house band The Jazz Pack will bring their monthly fabulous interpretations of trad and art house jazz to the stage, from 4pm – 7pm, in a set that is almost as fluid as a pint of our mythical Czech Pot! Please come early to ensure a seat. 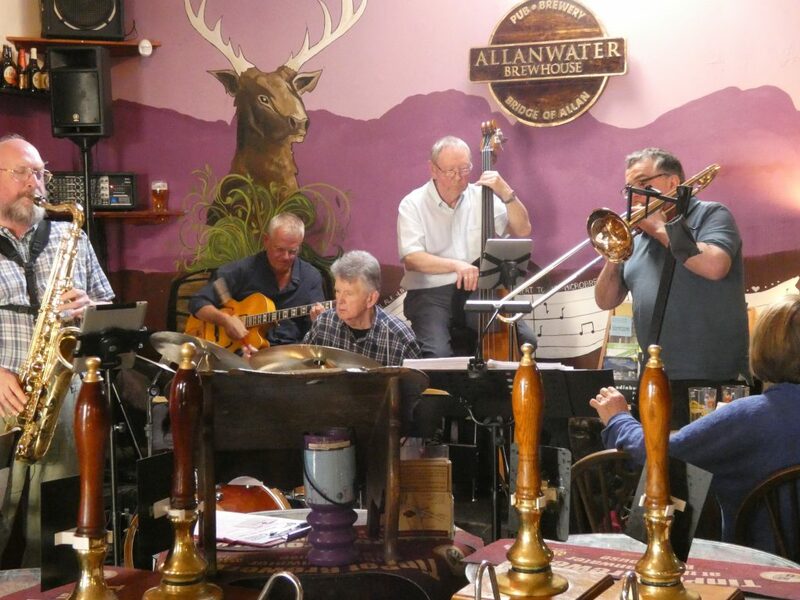 Recently The Jazz Pack have been encouraging our talented patrons to get involved and we are delighted to reveal that we have found two star turns within the ranks of our Jazz cognoscenti! 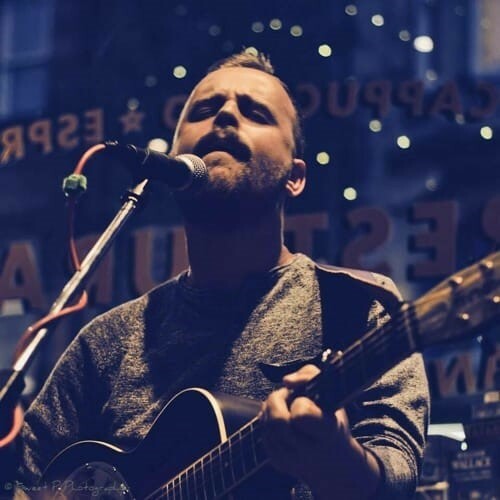 But before we go it’s only right and proper to record our grateful thanks to talented Stirling singer/songwriter Steven Kemp (pic below) who produced a virtuoso performance in last Saturday’s top of the bill slot….we’re sure we will see you again real soon Steven! But for now that’s all folks!